United Parcel Service (UPS) is one of the world’s largest shipment and logistics companies. UPS Inc. provides a range of products and services, such logistics and distribution, transportation and freight by air, sea, ground and rail. The global company also delivers freight forwarding services, international trade management and customs brokerage. UPS specialises in service parts logistics, technical repair and configuration, supply chain design and planning services, and returns management. With headquarters in the United States, the Atlanta-based company delivers more than 15 million packages every day in over 220 countries and territories. Known for its iconic brown delivery trucks and uniforms, the company also operates UPS Airlines and its own air cargo service for airport-to-airport deliveries to more than 150 airports. UPS allows customers to track packages and freight using an online tool. Customers may also track small package shipments by sending tracking numbers by email to totaltrack.gb-eng@ups.com. Tracking by SMS is also possible when customers opt into the service. Single piece packages, flat mail and certain packages send with UPS Mail Innovations can also be tracked using a reference number even though final delivery may be made by another delivery service, such as the Royal Mail or the United States Postal Service (USPS). A tracking number is automatically assigned by UPS when an item is sent. Tracking numbers are used to identify and trace shipments as they move through the UPS system. UPS can also track items with additional reference numbers beyond a UPS tracking number. Examples of other reference numbers that are used for tracking purposes include a Delivery Order or Sub-PRO Number, a House Air Waybill number for air freight, a House Bill of Lading number for ocean freight, a PRO Number for surface freight, a UPS InfoNotice reference number, or a UPS Service Notice number. Tracking is also possible with Quantum View, a service that allows for the management shipment information. The service provides a facility for businesses to notify customers when shipments are on their way or to create a customised tracking report. In order to use Quantum View, a UPS Account Number is needed. Tracking is also possible using Flex Global View, an event management and visibility tool with an integrated view of a business’s supply chain. This service is particularly useful if a company uses UPS Trade Direct, a consolidated service for delivering international freight and packages, or UPS Supply Chain Solutions, a service that manages various aspects of supply chains including transportation management, logistics, distribution, customs brokerage and international trade services. UPS traces its roots to the American Messenger Company, a private messenger and delivery service that was founded in 1907. During this time, the United States Parcel Post System had yet to be established and parcels were largely delivered by private companies. Beginning operations in Seattle, many of the city’s department stores were early customers and even loaned delivering vehicles to the company in order to make deliveries. The company introduced its first delivery vehicle in 1913. In 1919, services expanded to Oakland in California and the company adopted the United Parcel Service name. It also used a consolidated delivery model where a single vehicle was used to deliver parcels within a neighbourhood. By 1922, UPS adopted a ‘common carrier’ service model following the acquisition of a Los Angeles-based delivery company. The common carrier service also used automatic daily collection calls and introduced additional delivery attempts, automatic return of undeliverable items, direct payments to the company and Cash on Delivery, and streamlined documentation including weekly billing. UPS expanded to New York in 1930, which was followed by additional cities across the East Coast. In 1937, the company introduced a new logo, replacing its eagle logo with its name. At the same time, all of its vehicles were painted brown. The 1970s saw UPS expand its operations outside of the United States for the first time. In 1975, UPS began operating in Toronto, Canada. This was followed with new operations in West Germany in 1976, the company’s first European operations. In 1988, UPS Airlines was launched and is now one of the world’s largest air cargo services. The airline’s main hub is found in Kentucky. In 2013, UPS had worldwide revenue of $55.4 billion and delivered 4.3 billion packages and documents around the world. 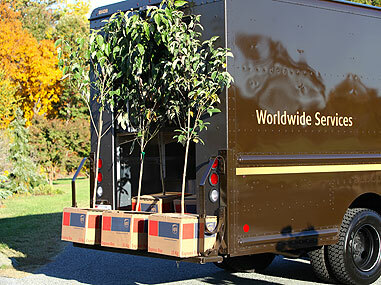 UPS delivers to every address in North America and Europe, and serves 9.4 million daily customers worldwide. The company operates about 4,800 UPS Store outlets as well as 11,400 authorised outlets where packages and documents can be dropped off or picked up. There are also approximately 39,000 UPS Drop Boxes around the world and an additional 11,300 UPS Access Points. The company’s delivery fleet includes over 96,000 vehicles, more than 230 UPS aircraft and over 380 chartered aircraft. While the worldwide headqaurters of UPS are located in the United States, the company’s European operations are based in Brussels, Belgium. The European hub for UPS Airlines is Cologne/Bonn, Germany. UPS serves 60 countries and terriroties in Europe and there are approximately 2,000 points of access across the continent, including UPS Centres and drop-off locations. The company’s European delivery fleet includes approximately 8,000 vehicles. More than 40,000 people are employeed by UPS in Europe. Major competitors for UPS in the United Kingdom and Europe include FedEx, the Royal Mail and Parcelforce, and DHL Express. UPS prices for sending shipments depend on the origin, destination, shipment date, service level and weight. Packages are defined as a single parcel or letter shipment that weighs less than 150 pounds or 70 kilograms. Multi-package shipments must not include an individual parcel that weights more than 150 pounds or 70 kilograms. Freight includes palletised or non-palletised shipments of any weight, although the minimum billable weight for freight sent with UPS is 151 pounds or 75.5 kilograms. For items sent with UPS Mail Innovations, a parcel or letter must weigh less than one pound or 0.45 kilograms. Parcels and bound printed matter shipments sent with UPS Mail Innovations may weight over one pound or 0.45 kilograms. For urgent shipments, UPS Express Plus is available for next-day delivery by 9 a.m. to and from most business addresses within the United Kingdom and the rest of Europe. Next day delivery before 9 a.m. is also generally possible for most business addresses in the United States and Canada. As of July 2014, rates for UPS Express Plus start at £69.45 when using UPS Express envelopes and £70.55 for other documents and packages. The exact price depends on the weight and destination. UPS Express provides next morning delivery within the United Kingdom by 10:30 a.m. on the following business day and before noon to most business addresses across Europe. Time-definite delivery to addresses outside Europe is also possible, with second business day delivery before noon to most U.S. and Canadian business addresses and delivery within two to three business days to most business areas in Asia. Rates start at £39.85 when a UPS Express envelope is used and £41.05 for other documents and packages. UPS Express Saver, also known as UPS Saver, offers delivery during the next business day to destinations within Europe, as well as fast delivery to addresses worldwide. Shipping is possible to more than 200 countries and territories around the world. Delivery is guaranteed to most business areas in the United Kingdom by noon the next day and next day end of day delivery to most European business areas. End of second business day delivery is possible to most business areas in the U.S. and Canada, while delivery within two to three business days is typical for addresses in Asia. Rates for UPS Express Saver start at £36.35 for UPS Express envelopes and £39.40 for other documents and packages. For more economical and less urgent shipping, UPS Standard is available for scheduled day-definite delivery within the United Kingdom and across the European Union, Switzerland, Norway and Liechtenstein. The exact time in transit will depend on the destination. Rates start at £22.55 for single package shipments and £24.30 for multiple package shipments. UPS Expedited provides scheduled day-definite delivery to destinations outside the European Union, Switzerland, Norway and Liechtenstein. Transit times depend on the destination. Rates for UPS Expedited delivery begin at £48.55 for packages. 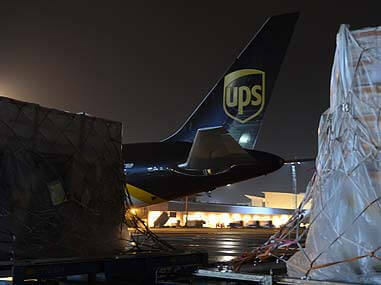 Prices for UPS Worldwide Express Freight for palletised shipments begin at £258.95. End of day delivery is possible within one to three business days, depending on the destination. UPS Worldwide Express Freight is available for door-to-door delivery and other delivery options to approximately 40 countries and territories. For information on UPS prices and service options including details on zones used by the company to calculate shipping costs. 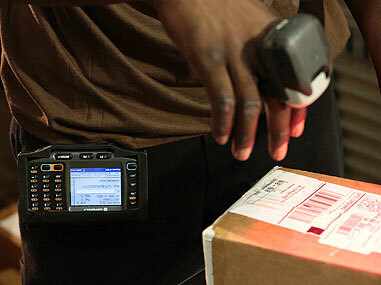 UPS offers businesses a variety of e-commerce delivery solutions, including UPS Access Point. Repeated delivery attempts cost consumers and the e-retail sector approximately £500 million every year in the United Kingdom, according to the IMRG Valuing Home Delivery Review, 2012. UPS Access Point locations are found at a number of local areas, including grocery stores and shops. These are independently-owned shops approved by UPS to receive and hold unsuccessful deliveries. Designed with online shoppers in mind, these outlets are convenient places to collect deliveries and drop off packages close to the original delivery address. UPS selects these outlets based on their suitability and location. Outlets are also supported by UPS’s technology and training. The UPS Access Point service ensures that customers can pick up or drop off packages without the hassle of having to wait for items at their home. Businesses choose this solution as an alternative to home delivery. The service also provides greater flexibility for customers who can choose from a number of locations with extended operating hours. When purchases are made, online shoppers can opt for pick-up using a UPS Access Point location where they will collect online purchases at a time that suits their schedule. The selection is made during online checkout. Customers also receive alerts by email or text to notify them when a package is ready for pick-up. A UPS InfoNotice is left when no one is available to accept a shipment. The InfoNotice includes the date of the attempt. Typically, three attempts are made to deliver an item. If delivery is unsuccessful after three attempts, the item is held at a UPS facility for five days before it is returned to the sender. Any shipment with Cash on Delivery (C.O.D.) will be returned to the sender on the same day as the final delivery attempt. A unique reference number at the bottom of the InfoNotice is used to trace and track the shipment. The number can be entered in the Tracking section of UPS.com. When a customer receives a UPS InfoNotice, they can sign the document and return it to where it was originally left. InfoNotices may be affixed to a door or mailbox. The UPS driver will then leave the shipment on the next delivery attempt. This option is only available when a signature is not required for delivery. Additional information on what steps must be taken for C.O.D. and Signature Required shipments are found on the InfoNotice, such as selecting an appropriate time for delivery. In areas where a UPS Access Point in available, the InfoNotice might state where and when the shipment can be collected after the first delivery attempt. This allows customers to pick up their package on the same day as the delivery attempt rather than wait until a second delivery attempt. 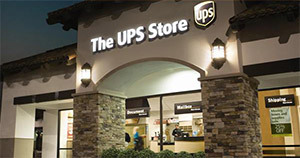 When a UPS InfoNotice is received, customers have a number of delivery options that can be made on UPS.com. Customers can use the ‘Will Call’ option where UPS makes shipments available for collection at a local UPS facility. Items will be held for up to five business days at the designated facility. Customers can also opt to have the item delivered to another address or reschedule the delivery to a specific future date and time. They can also choose to have the shipment returned to the original sender. My UPS is a convenient option for saving time and information when sending items with UPS. The one-stop online tool provides all the information and options businesses need to send shipments. Users can create a shipment, schedule a pickup and order supplies online using My UPS. Users re also able to use international tools to manage shipments across borders with UPS TradeAbility. This tool allows UPS customers to identify harmonised tariff codes for products, verify compliance of imported shipments, complete required forms online and estimate the landed cost of international shipments including duties, taxes, fees and transportation costs. My UPS allows users to track shipments, including determining proof of delivery information and the time a shipment arrived at its destination. While the standard tracking tool on UPS.com allows users to track up to 25 shipments at one time, My UPS has the ability to import up to 100 tracking numbers that can be tracked at the same time. Tracking information can be send by email or in a CSV file for most spreadsheet applications. My UPS users may also save up to 25 tracking numbers for future reference, eliminated the need to always key in tracking numbers each time the status of a shipment is checked. 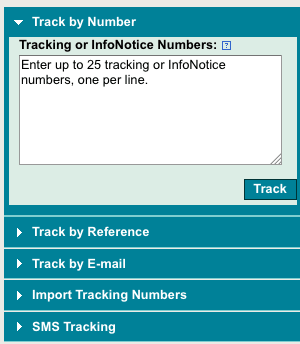 Registered users of My UPS also have several additional enhanced ways to track shipments, including by email and reference number. Information on My UPS can be customised for individual users. For example, there are options to create quick access preferences for specific information or commonly used tools. My UPS also includes information from previous shipments, which helps users reduce the time needed to re-enter details such as payment information or sender details. Claims can also be made online when a shipment is not delivered within a guaranteed timeframe or if damages have been sustained. UPS My Choice is a free online tool for recipients of shipments sent with UPS. The service provides a convenient option to select delivery preference before a first attempt is made to deliver a package. Users are able to get alerts before packages arrive when they sign up with UPS My Choice, as well as select preference for convenient home delivery times. When a recipient is not home, they can use UPS My Choice to electronically authorise packages for drop-off. Users can also re-route a package to another address. Free membership in UPS My Choice includes delivery alerts and a delivery planner to manage and track all deliveries using an online calendar. Members also have the ability to set delivery instructions such as leaving the package at a designated location or a neighbour and choose a pick-up location for packages. For an additional fee, My Choice members can also re-route packages and re-schedule delivery. For an annual fee, Premium Membership provides free unlimited re-routing and re-scheduling. Premium members also have access to a confirmed delivery window of two hours for an additional fee. Currently, UPS My Choice is not available in the United Kingdom and is only offered in the United States. For more information visit UPS My Choice website. The UPS Mobile App provides important shipment information at any time on mobile devices. Versions of the App are available for iPhone, Android and BlackBerry users. The UPS Mobile App allows users to enter tracking and InfoNotice numbers to check on the status of a package and view special instructions. Users can also enter an origin and destination post code to determine the estimated time and cost of sending a shipment with UPS. 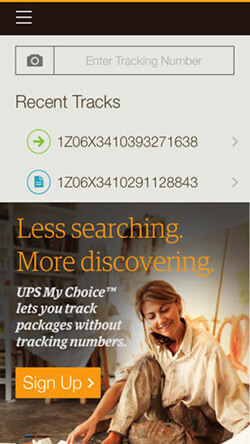 The UPS Mobile App also allows users to find the nearest UPS location or a UPS Drop Box. It also gives users the ability to save up to 75 tracking numbers, access their My UPS Address Book, and create shipments using My UPS shipping and payment preferences. UPS employs approximately 400,000 people around the world, with the vast majority based in the United States. The majority of UPS employees work in the U.S., while approximately a fifth of the company’s workforce is employed outside the U.S. A variety of job opportunities are available with UPS, including full-time and part-time package handling, sales and engineering positions. Package operations positions include thousands of drivers who pick-up and deliver shipments. UPS package operations positions are also found in the management and delivery of air and sea shipments, including pilots and ground crew for aircraft operated by UPS Airlines. Professional positions with UPS are available in a range of fields. UPS employees are involved in administration, communications, customer service, customs brokerage, finance and accounting, health and safety, human resources, industrial engineering, IT systems and technology, legal and compliance, marketing, sales, and security. 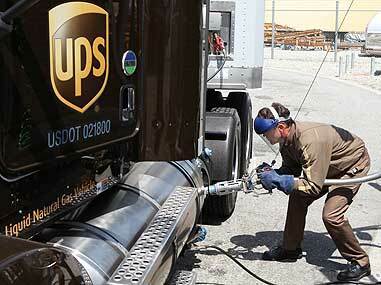 UPS also employs mechanics and others in the automotive field to maintain the company’s vehicle fleet. Sales positions include account executives that identify sales opportunities, and conduct sales calls and customer visits. UPS customer service representatives work in call centres and respond to requests and inquiries from customers. They also provide administrative support to account executives. All part-time and full-time job and career opportunities with UPS are posted on the company’s online career portal. For more information about jobs and careers with UPS in the United Kingdom and abroad, visit upsjobs.managehr.com. To contact UPS in the United Kingdom, write to UPS, Forest Road, Feltham, Middlesex, TW13 7DY. For UPS Customer Service, contact 08457 877 877 from 8:00 a.m. to 8:00 p.m. Mondays to Fridays or 8:00 a.m. to 12:30 p.m. on Saturdays. Alternatively, email custsvcgben@ups.com. The address for the company’s European headquarters is UPS Europe SPRL/BVBA, Avenue Ariane 5, 1200 Brussels, Belgium. To contact the company’s corporate headquarters, write to UPS Corporate Headquarters, 55 Glenlake Parkway NE, Atlanta, GA 30328,United States. Delivery should have been on 16th or 17th January. Nothing arrived on either day. I have stayed in both days awaiting the delivery when I could have been usefully employed. I am not impressed by this service. I will NOT be staying on future dates and living in a gated estate the delivery driver will have problems. I wil be atD home up to 10.30am but after that. will require at least one hour notice.